Alfa Laval's Sustainability Report covers the 2017 calendar year and focuses on material topics and activities in line with stakeholder concerns. The report describes the policies, risks and results of the company's material topics regarding the environment, social issues, employees, human rights and anti-corruption. Alfa Laval has been a signatory to the UN Global Compact since 2011, and complies with its ten principles for responsible business. 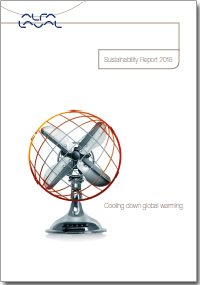 This report is Alfa Laval's annual Global Compact Communication on Progress.